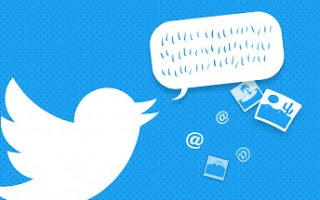 Twitter has added the ability to create Twitter threads more easily. Users will be able to tap a button while writing their tweet and link a second tweet to it and so forth. Once you are done, you can hit 'Tweet all' and the entire thread will be posted at once. If you feel like adding to the thread later, you can tap the new 'Add another tweet' button. Additionally, Twitter has also made it easy to spot a Twitter thread. Threads will have a 'Show this thread' label and tapping it will open the entire thread. A Twitter thread is a string of tweets sent as a reply to each other. This method was invented by users as a way to link all the tweets within a topic together and make it easy to read them all in one place. Opening any of the tweets in the thread would let you see the previous and subsequent tweets in the thread. However, as mentioned before, creating this thread required manually replying to your last tweet in the thread, which was just a tiny bit of hassle. Considering how popular Twitter threads are, it made sense for Twitter to add this feature within their app, which should be rolling out on iOS, Android and web in the coming days. However, the company continues to keep mum on more deeper issues on the platform surrounding targeted harassment, hate speech, spambots or even basic things like editing tweets.